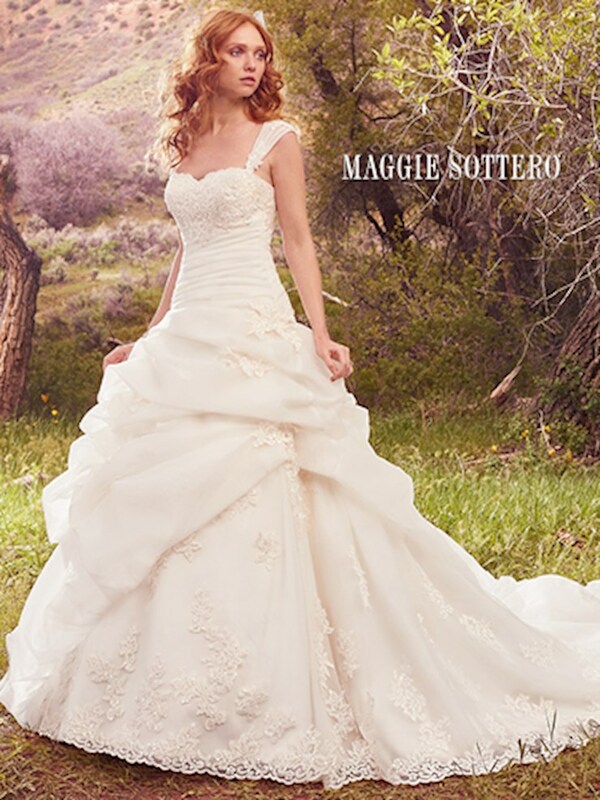 This Venice organza ballgown combines a pleated bodice with a dropped waist and dramatic pick-ups. 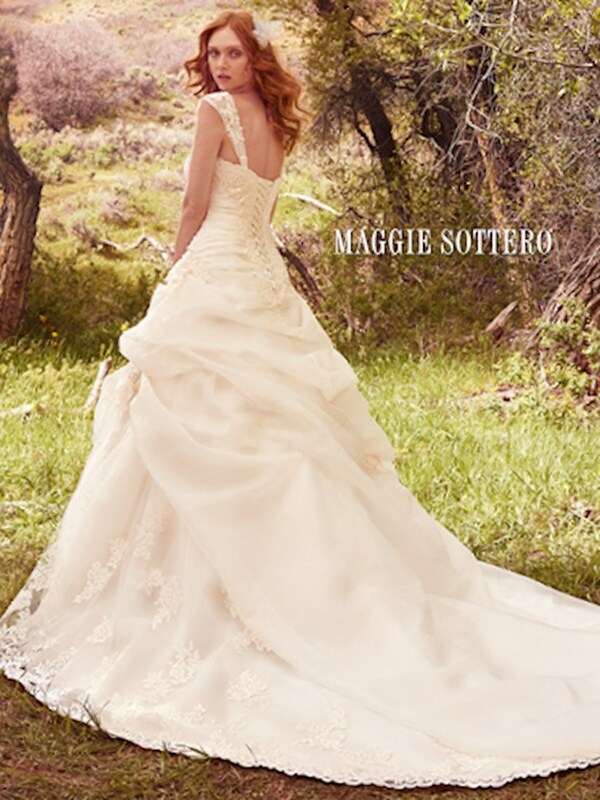 Shimmering lace appliqu�s dance across the sweetheart neckline and voluminous layers of the tulle and Venice organza skirt. Finished with corset closure. Includes detachable cap-sleeves with lace appliqu�s (also offered separately).